If you live in south central Pennsylvania, particularly the Harrisburg and Hershey area you need to pay a visit to the Bakery Thrift Shop on Derry Street in Harrisburg. 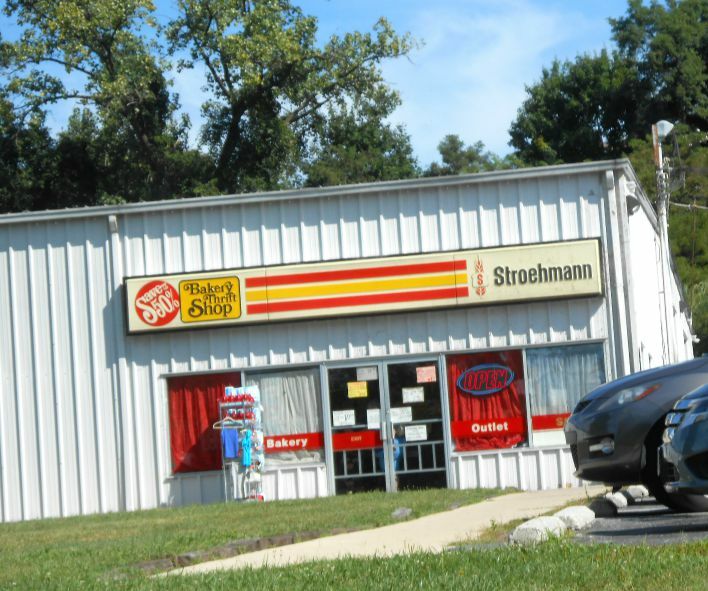 Some of the local people refer to the place as the Stroehman Bread Outlet but that's not their official business name. 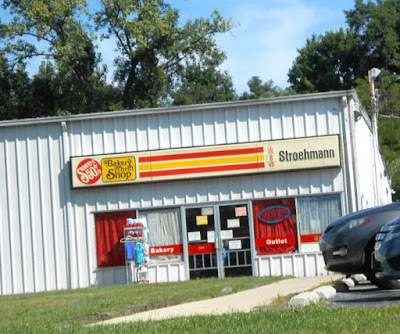 When you shop at this "mini" outlet grocery store you will find all kinds of breads, muffins, rolls, bagels, doughnuts, milk, eggs, potato chips, pretzels, popcorn, goldfish snacks, Little Debbie snacks, condiments, boxed cereals, boxed oatmeal, canned goods, bottled juices, baking mixes and a whole lot more! Everything that is sold in this store is heavily discounted! None of the grocery items are damaged or out-of-date. These are the same "name brands" that you find in your local grocery stores! On a recent trip to the Bakery Thrift Shop I got everything that you see in that photo below for $34.00. If I had paid FULL PRICE at the local grocery store I would of paid close to $69.99 for those same exact products! If you look closely I got: 2 boxes of Weight Watchers Cereal, 3 pkgs. of Gold Fish Snacks, 2 bottles of Juicy Juice, 2 loaves of Sunbeam Bread, 1 pkg. Hot Dog Rolls, 1 pkg. Hamburger Rolls, 4 boxes of Little Debbie Snacks, 1 box of Libby's Pumpkin Bread Mix, 2 pkgs. English Muffins, 1 can of Little Sausages, 2 pkgs. of Tastykakes, 3 pkgs of Entermann's Doughnuts, 2 bags of Tortilla Chips, 1 bag of Hard Pretzels and a box of Dry Bread Crumbs. Wow! I couldn't fit everything into my photo! I plan on visiting the Bakery Thrift Shop every month to stock up on my family's favorite breakfast cereals, breakfast foods, snacks, juices and bread products! It's a great place to save some money on the things you typically buy at the big grocery store for a lot more dough! GPS Users: You can find them located on 5970 Derry Street in Harrisburg. 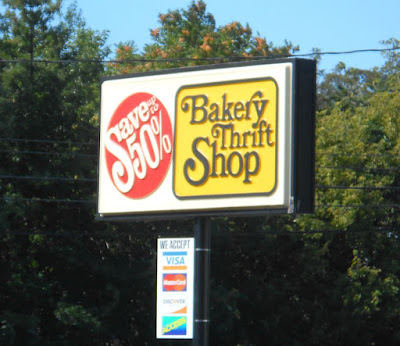 I wish I lived near a thrift shop like this bakery shop. I would love to be able to buy a lot of snacks at a discount price.